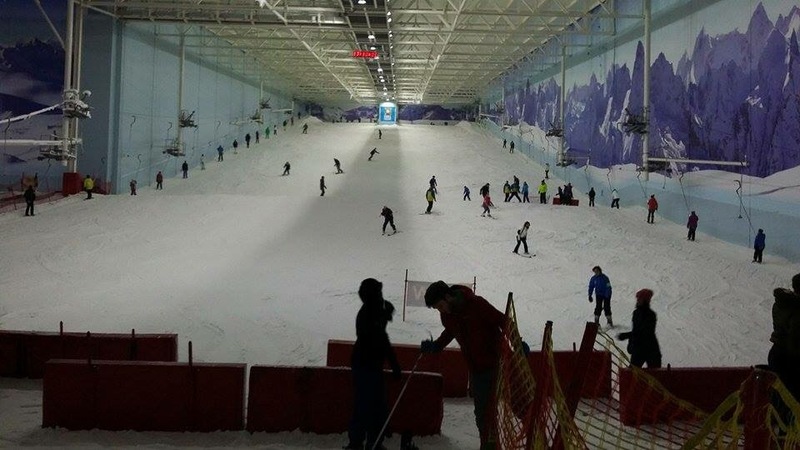 I had booked my friend and I in for a two hour ski session i’n Manchester as a birthday present for her! We all travelled there this Saturday and a we dropped off hubby and the girls at Trafford Centre. 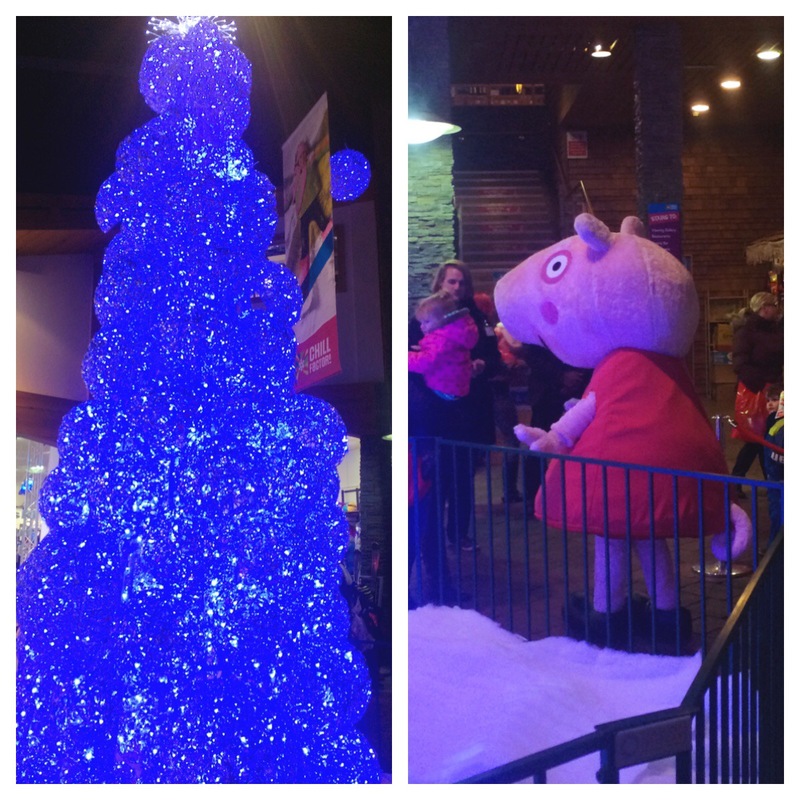 We went over to Chill Factore where I spotted Peppa Pig! Such a shame Little Miss wasn’t with me because she loves Peppa! We got our lift passes, got changed and sorted our boots and skis and headed for the slope. We’ve not been skiing for four years! That makes sense because I’ve been pregnant or recovering from childbirth for the last 3 years!! We went up to the half way point (or the baby slope point) and started off from there. That’s what we normally do – start on the baby slopes, build up confidence then hit the big slope. On my first run from the baby slope my left hip cramped up and I fell. The falling isn’t a problem – kinda comes with the territory. Got up, dusted myself off and carried on. My hip was a bit painful so I rested it out for a run – let my friend go and made a video of her coming down. I rejoined her on the slope for her third (my second) run. Managed to get down without falling (yay!) but my hip was feeling worse. It was at the point (about 20mins in!) I decided I wasn’t going to risk it and so decided to sit it out and watch from the sidelines. 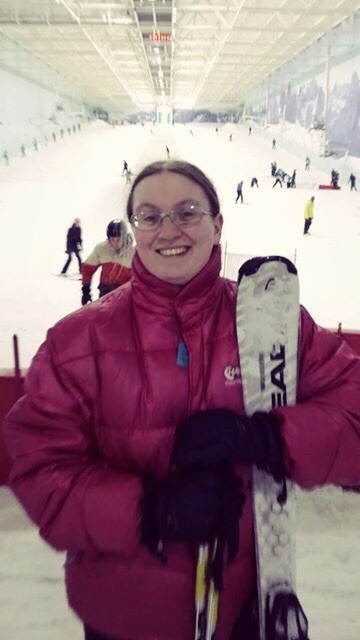 I watched my friend go up and down the slope – she even managed the big slope! It is really scary at the top. 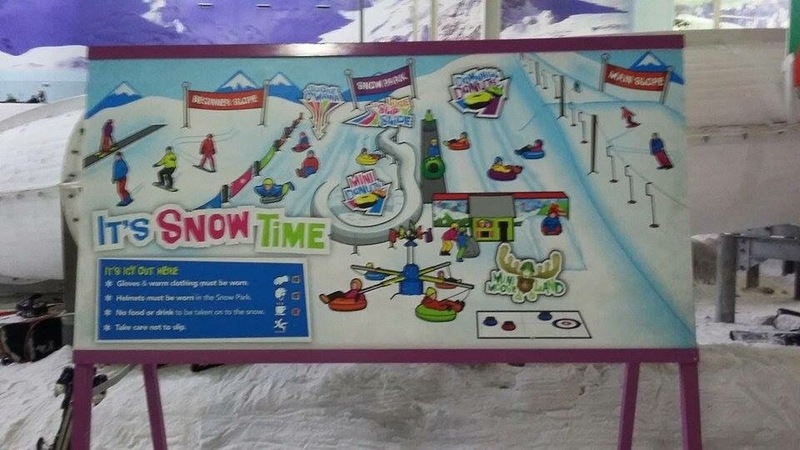 I also took a walk over to the snow park to see some activities going on there. There was a bumboarding race going on and it looked like so much fun! She had a great time and I had a good time watching her and other people ski/snowboard. There are some great skiers there and there were also some spectacular tumbles – see, even the pros fall over! 😉 The best thing I saw though were the skiers who took the disabled kids down the slopes. It was amazing to watch how they did it and really fantastic to see the smiles on the kids faces. 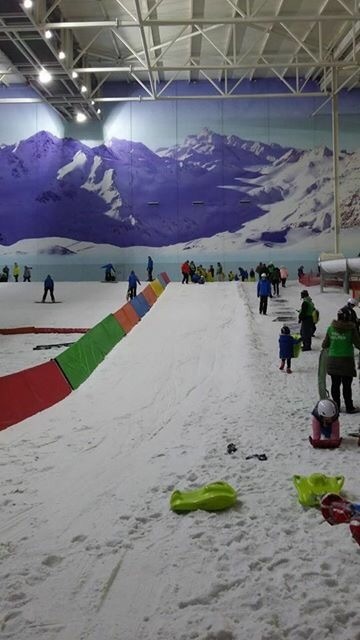 Oh and also the kiddie ski school put me to shame! They were so capable (and so cute!) coming down the slope. Around 1.15pm my friend had decided she’d had enough so we headed off to get changed and then went to the Trafford Centre to have lunch with hubby, my girls and hubby’s best friend. We had lunch at Zizzi’s where I had the chicken & mushroom risotto again. Very yummy! After lunch we went for a quick walk around Trafford Centre – ended up in Skechers and bought Little Miss her first pair. She chose them… I was trying to get her to chose the ones with lights in them but nope, she wanted these fantastic blue ones! I’m sat in bed at around 10pm typing this and even though I didn’t get to ski, it was still a great day! I have decided to go and see a doctor about my hip though. 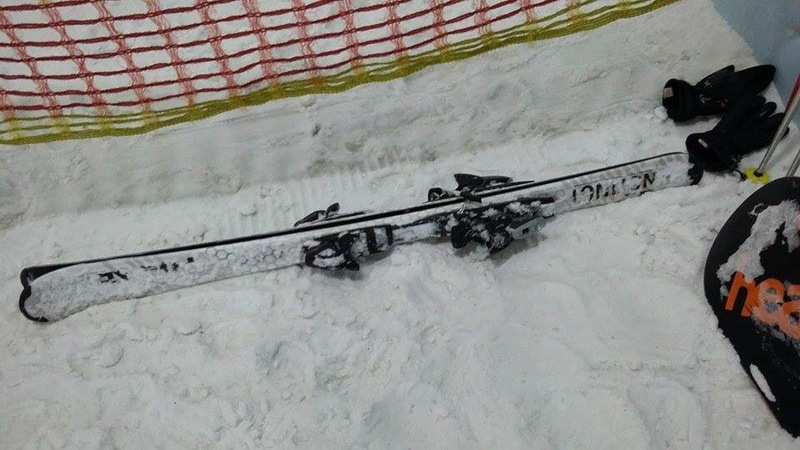 It’s been playing up for a couple of weeks but I thought it wasn’t anything to worry about really.. but I need to get it sorted before I give up on skiing.